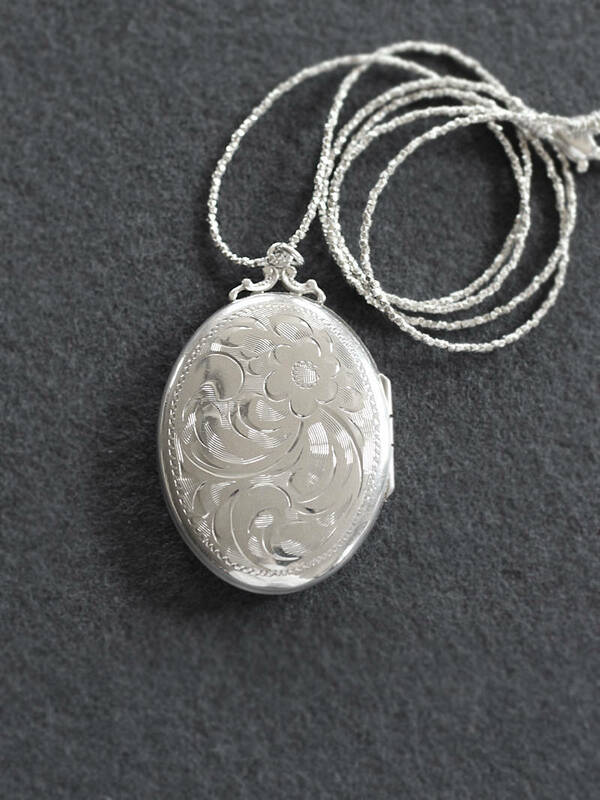 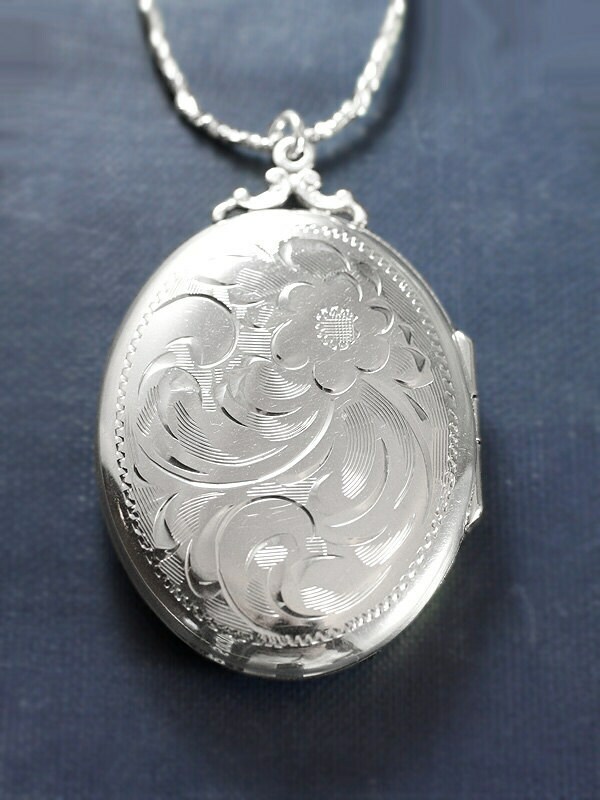 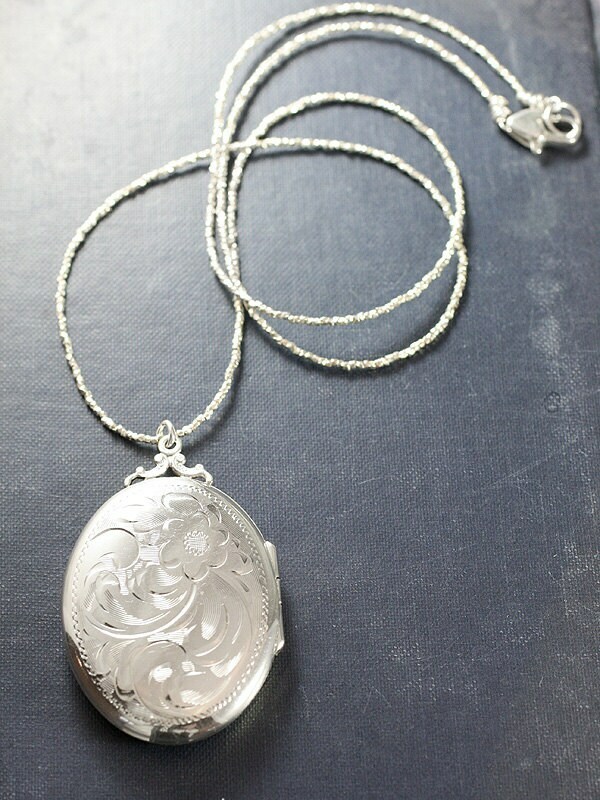 A gorgeous vintage sterling silver oval locket is engraved with a beautiful swirling flower design and is crowned with a fancy filigree-inspired top. 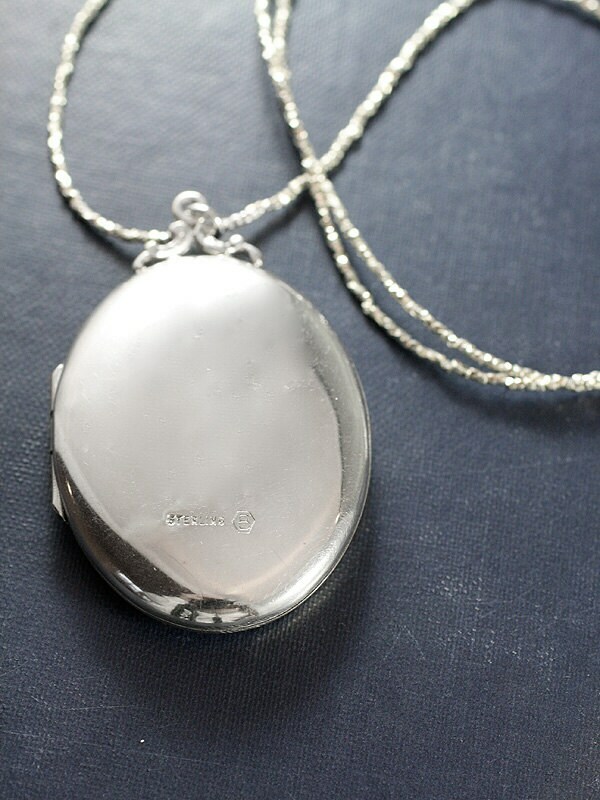 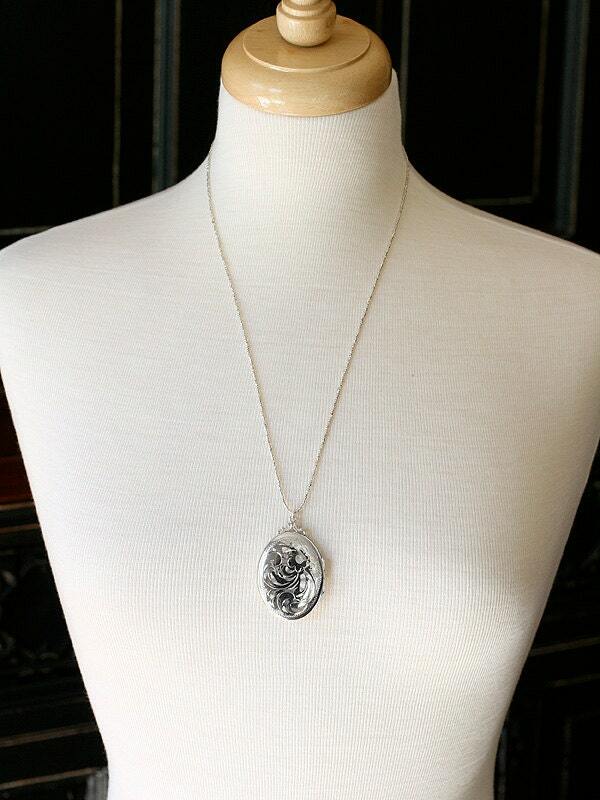 The sterling silver photo pendant opens to reveal two removable frames waiting to hold your beloved photographs. 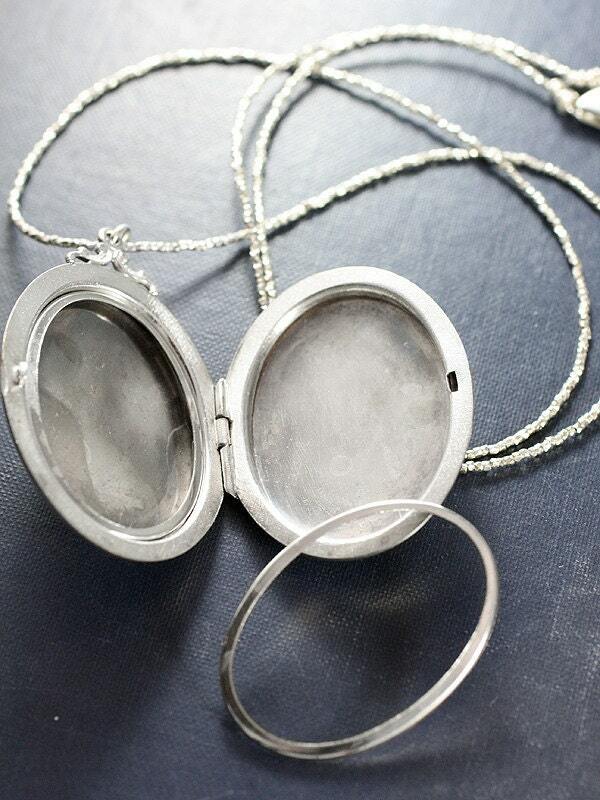 The locket dangles from a chain of hundreds of hand strung pure silver faceted square beads hand finished with a trigger heart clasp and ring.